Great questions were asked for casual players. Disgusted by such forced price spikes from buy outs because a deck does well at a tournament. Little we can do about that though haha. With Bill Simmons gone who knew I’d get my mailbag fix here? Thank you Douglas for choosing good questions and your interesting comments on each. No problem! Who’s Bill Simmons? Thanks so much for taking the time to answer my question! I will definitely heed your advice. To that end, do you have any FB pages/groups you could recommend to help find the foils I need? Thanks again! Personally, I like the big price spikes / drops. Adds a little spice! Thanks for taking the time to do the Mailbag Article! Your thoughts on my question really helped me focus. I think sometimes I forget that while casual EDH foils hold high price tags, demand for them is actually questionable. Just because I’m excited about casual foils doesn’t mean the rest of the community is. Your experience with going deep on Ghave is definitely something to think about. 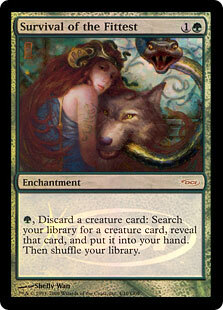 I think I might still target first printing (different art) casual foils when I see an opportunity. But I definitely won’t be going “deep” and I always have to consider that I might have to trade these away to EDH players for any real value. Maybe I’ll go ahead and set a rule for myself: Never hold more than a playset of something with “casual demand”. I have to admit… I’m going to be looking for those Fire-Sales on Foil Angels when FTV: Angels is spoiled/released. Artwork will be a key factor. Promise I won’t go DEEP! I’ll approach my target with a Sniper Rifle… Machine Guns and Bombs leave too much collateral damage! Seems like an alright spec to me? Buylist is actually showing steady gains this month as well. Its only about 75cents away from the highest buylist price recorded at $5… How did this go wrong for you? Did you buy these above $4??? Great article! 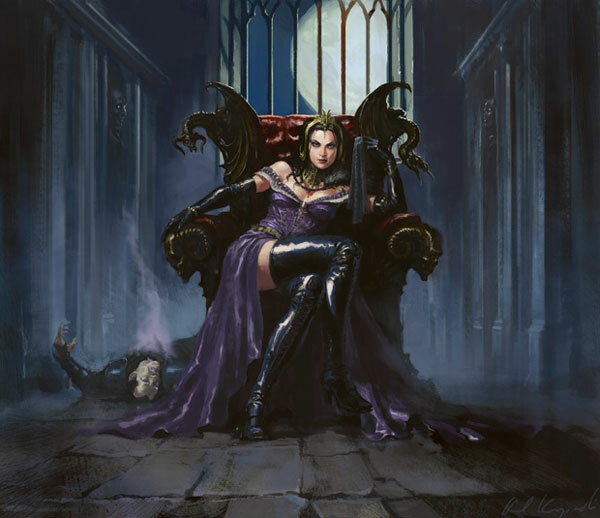 In response to your questions about modern investment strategies (and how to pick the next Olivia Voldaren) I highly recommend keeping an eye on MTGtop8.com and the decklists posted on SCG. Weeks before she spiked, Olivia Voldaren was showing up as 1 or 2 ofs in the sideboards of lots of MTGO 4-0 / 3-1 decks, including Jund and Grixis Twin. Same went for blood moon, Kolaghan’s Command, Heritage Druid etc. I completely agree that’s a great way to go about it. I’m also of the opinion that Nettle Sentinel will be spiking sooner rather than later, due to its’ singleton printing and utility in the same deck as Heritage Druid. You can also look at cards in the same deck that haven’t spiked yet. I think Raging Ravine is due for some modest gains. Speak of the devil. Had some significant gains today! Hey Douglas, thanks for including my question in your article. In regards to Modern staples I’m not actively seeking out Modern cards unless they are Legacy playable or unless I feel like they have casual appeal post-Standard-rotation. One such card is Inkmoth Nexus…I haven’t been playing long enough to have gotten it during it’s standard life but it’s in Modern and Legacy Infect decks (and a vital piece of those decks) so it seemed like a smart target in the face of a possible reprint in MM2. Innistrad block cards like Liliana of the Veil, Snapcaster, Cavern, Avacyn, Olivia, Resto Angel, Falkenwrath, Garruk Relentless, Lingering Souls, etc. I held on to post-rotation as they either seemed too low to sell then or had good enough potential to hold…but Snap and Lili were obvious as they were super powerful as Legacy cards. Cards like Geist and Huntmaster, which I didn’t need for Standard decks and don’t really show up in Legacy, seemed a little risky at the time. But now things have changed because the RTR block cards are not responding like most people thought. Deathrite and the Shocklands haven’t moved or they’ve gone down…now maybe if Deathrite was unbanned in Modern it would sky rocket, and maybe the shock lands finally show a spike with GP Charlotte, don’t know. Abrupt Decay has been called a great card to target but it too is Legacy playable. But NEW Modern cards seem like huge risks…like Kolaghans’s Command and Collected Company! I need to get out now and just take my profits, but like everyone sometimes I get greedy. 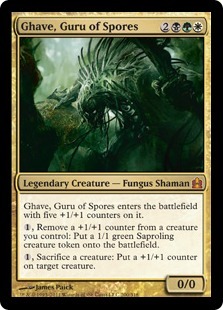 I outted some Serum Visions when they were $8 cause how could they NOT reprint that card but look what happened! I digress as Serum Visions is not new, but a card like Siege Rhino, especially the foil, has been all over the price charts. I think it’s too hard to gauge what Standard legal cards that are powerful in Modern are good targets cause they could easily see a reprint in a Clash Pack, Event Deck, etc and will eventually be reprinted. Older Modern cards that are NOT Legacy playable seem like huge risks as well. 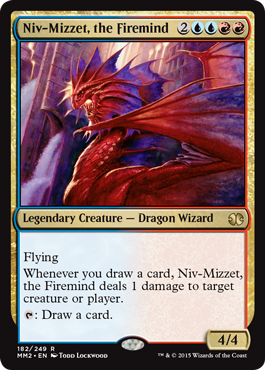 I luckily got in on Snapcaster when he was $20ish…had I put that money into Pod or Twin as long term holds I’d have been in trouble. Chord of Calling is another good example, the reprint finally sold out on Star City but they have the Ravnica version now listed for $8 with 37 copies!!! Azuza seems like it might follow the path of Chord, or it’s at risk for the worst thing in Modern which is BANNINGS! One last thing I’ll add (I should write for you guys) is that I still love foils as targets. Foil Olivia at $20ish seemed a little pricey with Jund not showing up for months and her non-foil around $5 but that’s the version I’d want to have. Foil Innistrad Olivia, Foil New Phyrexia Spellskite, Foil ROE Splinter Twin, Foil Future Sight Goyf, Foil ‘original printing’ Card X seems to be the way to go to prevent huge losses on Modern/reprintable card speculation. It’s a more expensive investment but a much safer one in the face of reprinting.